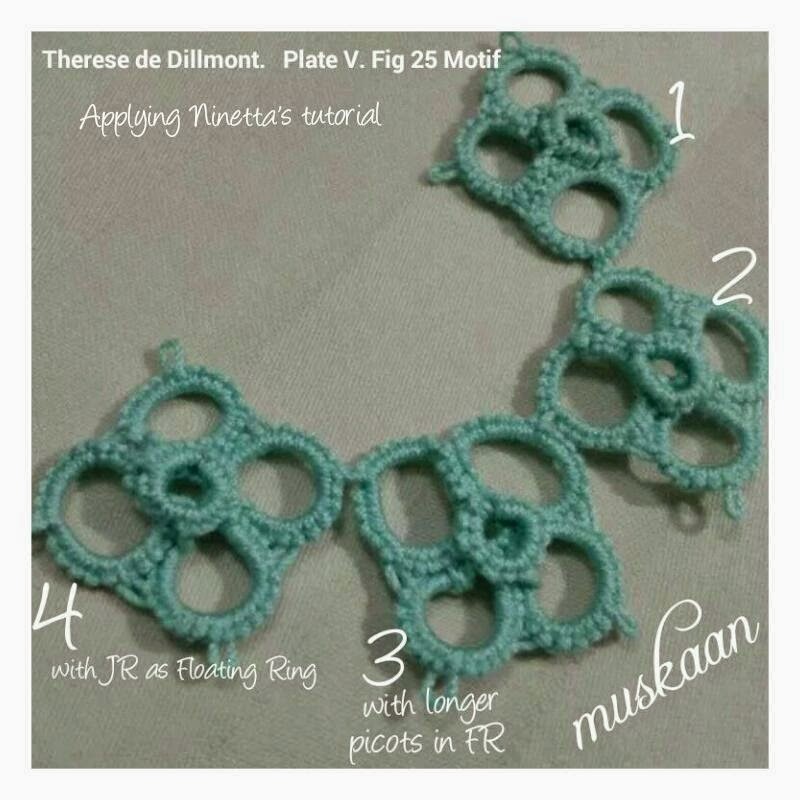 I have not been able to make & photograph Ninetta’s method yet (will do so in the next post ; it includes joining 2 picots at same time & some tips from her). 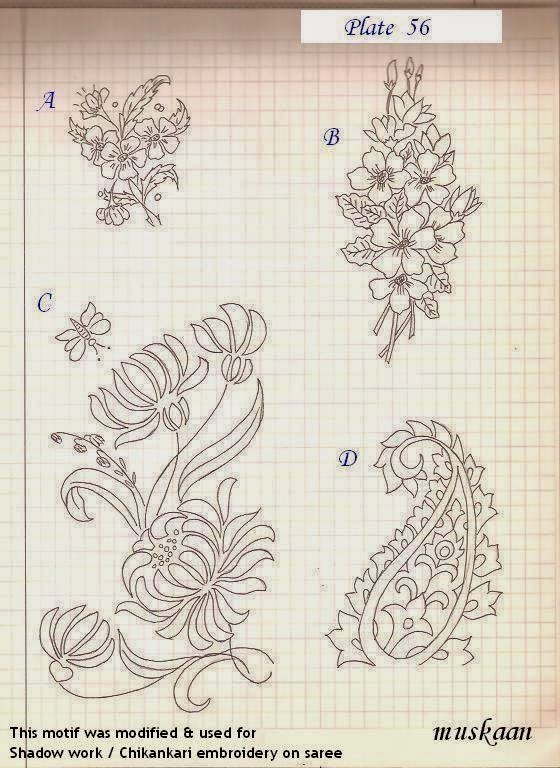 But in order to avoid more delays, I will share how I understood / interpreted her diagrams especially for tutorial purposes & made the motifs through step-by-step pics. 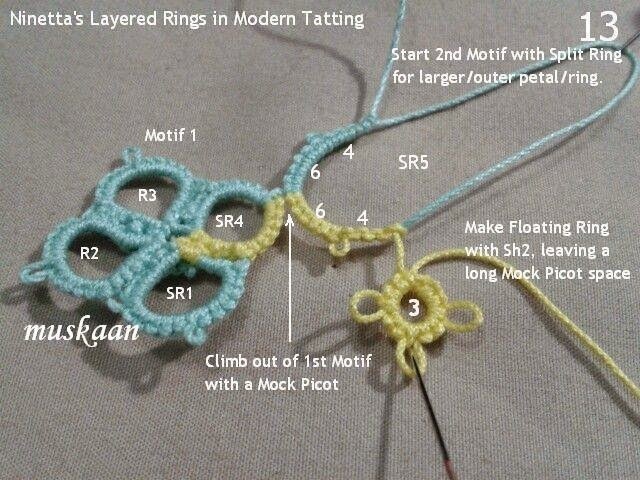 While making the 2nd motif repeat, I have shared another method (all front-side tatting that I used in my earlier trials here ). I have tried to incorporate as much as possible within the stepwise pics itself, with notations. I will also include & upload pdf versions to all methods in the next post. by applying modern techniques to a vintage pattern, & doing it all in one pass. 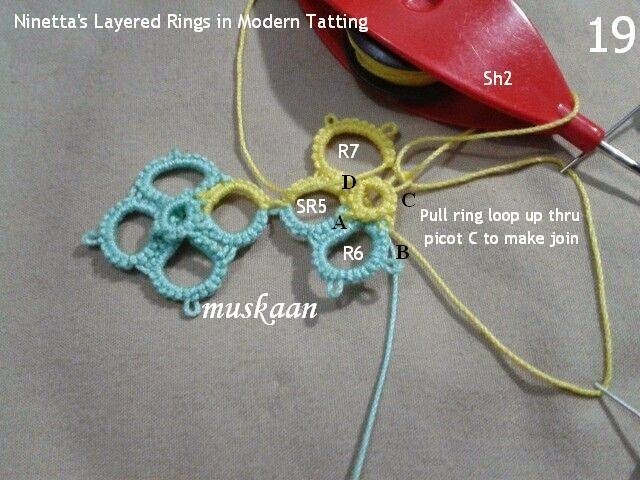 I have deliberately used 2 colours so that the progression & split rings can be easily identified. Some pics show both back & front views in order to show comparison, etc. ; these have been indicated in the pics to avoid confusion. Done in size 20 Anchor Mercer Crochet Cotton. 1. Start with Sh1 1st half 6-4. 2. Make complete 2nd half of SR with Sh2, including the FR, and the last 2ds. 3. Go back to 1st half - join with FR and make the last 2ds. 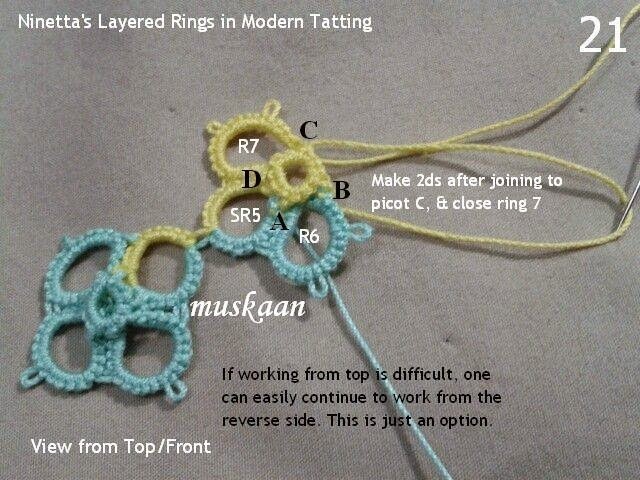 Close ring. 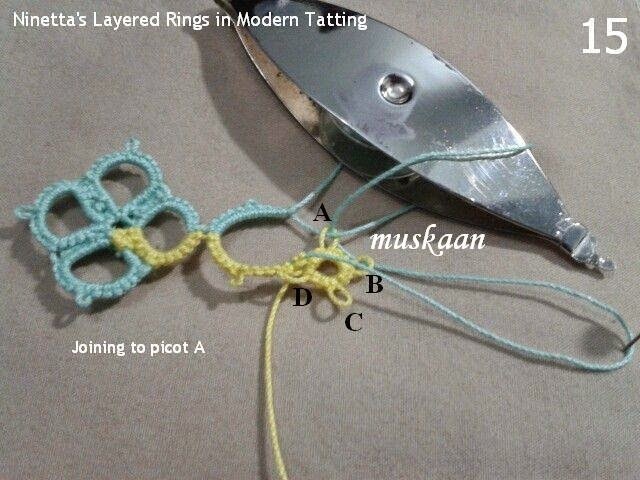 Figs 18-21 show another method of making & attaching the layered rings. 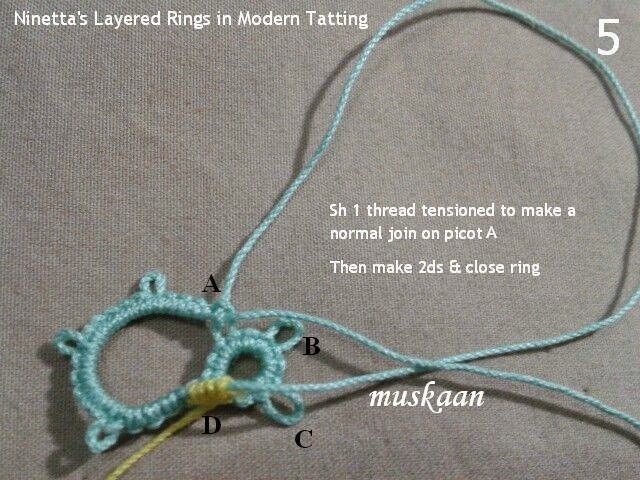 This involves tatting from front/top side only ! 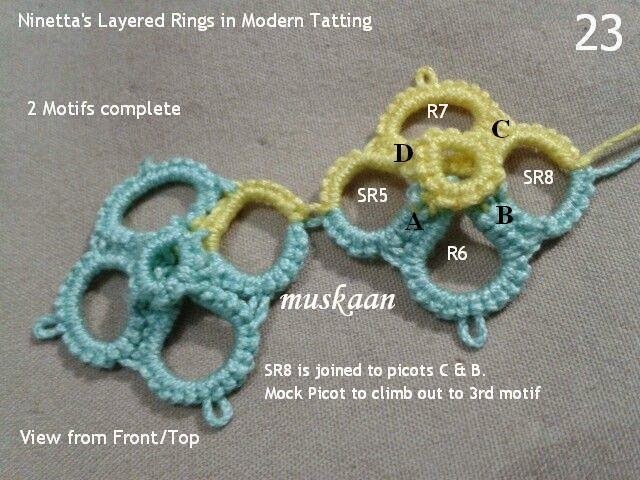 The entire motif can be accomplished with frontside tatting, without any need to reverse or turn work. 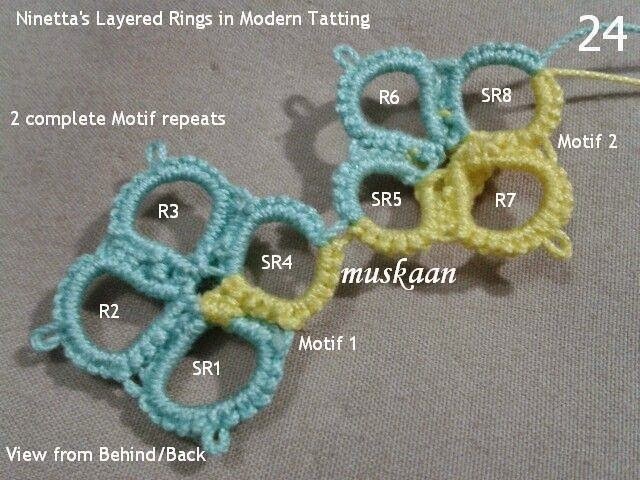 One can alternate colours of central ring as well as petals ! The Floating Rings can be shifted to Between Petals to get 2 layers/rounds of petals simultaneously – a layered flower ! Please excuse the poor quality of photos. These were taken 2 years back when my photography skills were worse. 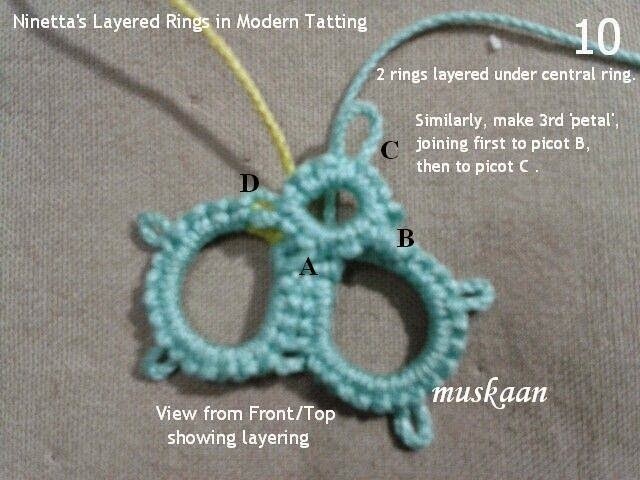 Pattern : Original Source unknown. Modified patt C from Plate #56 below (my own collection). Thread used : Anchor Embroidery Threads (Anchor cotton floss) in brown, dark purple, & 2 shades each of green, yellow, orange, blue. Strands used : 2 strands. Stitches used : This is in the style of Lucknow Chikan embroidery or Chikankari, also called Shadow work or Shadow stitch. It appears like a parallel row of Back Stitch (or Double Back Stitch) in the front, & Closed Herringbone Stitch when seen from the reverse side. I altered the original pattern just a tad, moving & realigning the lower left flower to the top, so as to get a continuous trellis when repeated. 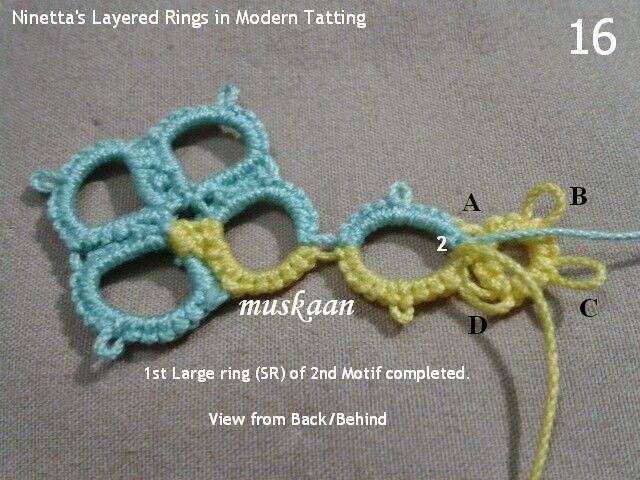 Thus each motif consists of 4 flowers lined up in decreasing size. in sequence. (This sequence was maintained throughout the saree). 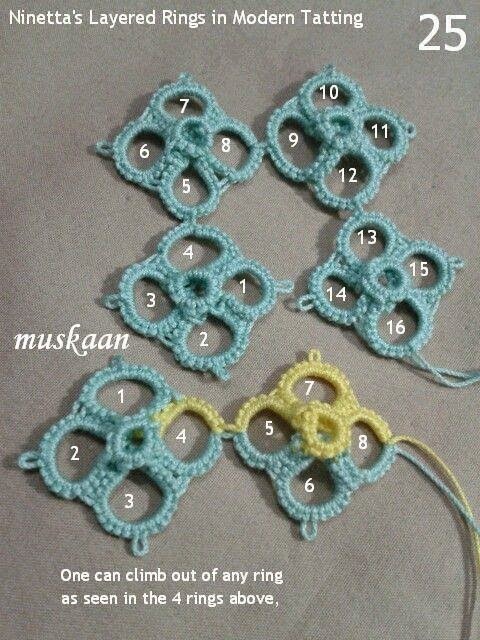 I think I did 3 motifs per row, with a phase shift between rows, & 4 rows in all. 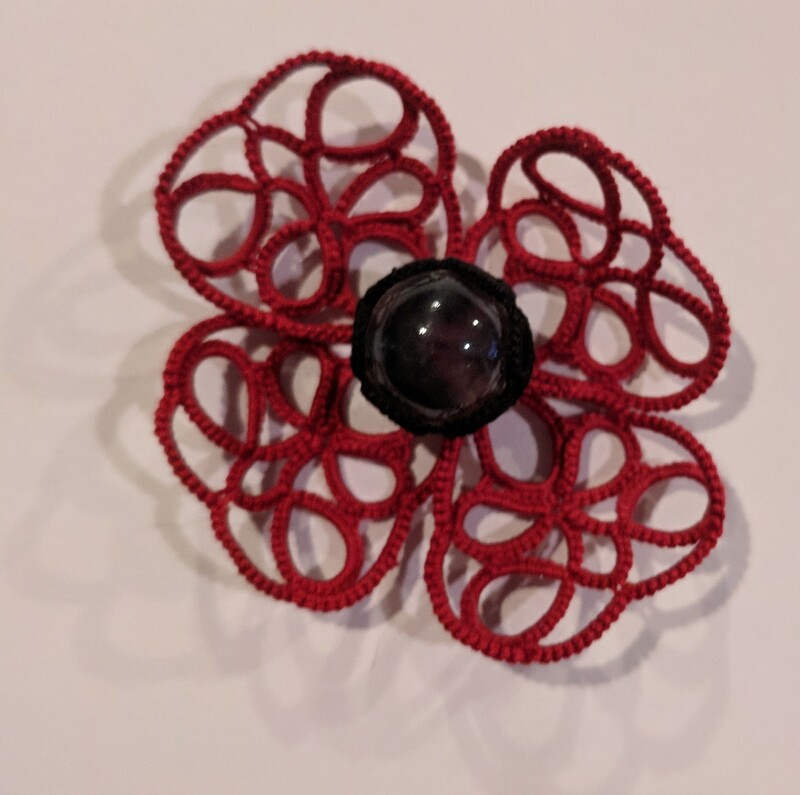 For some shading, since there was no variegated or shaded thread, I used 2 solid colour shades (light & dark) in some petals. 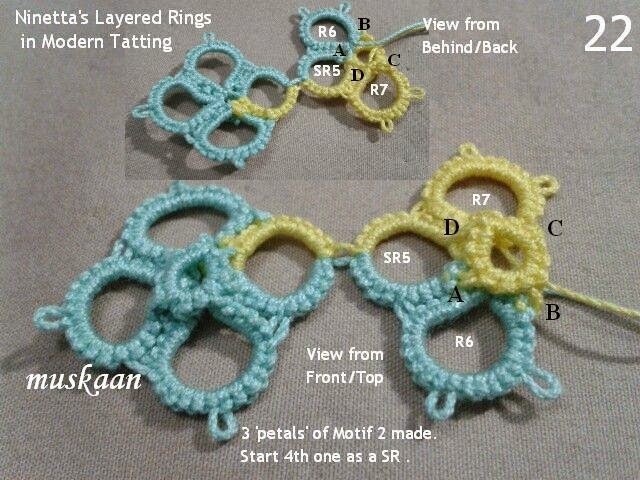 The same motif was mirror-imaged & alternated to create a long trellis of 4 repeats. Flower colours are alternately used, within each repeat (yellow, orange, blue). Flower colours also alternated between trellises. So if one trellis started with a yellow flower at base, the next trellis started with an orange & the 3rd with a blue, repeating this sequence. I made 7 or 8 such trellises, with these motifs climbing up to ¾th the width of saree, at a slight angle . TIP : While embroidering a colorful pattern/design, use multiple needles, each with required colour, for quicker & easier work. I even separate the skeins & cut out the desired lengths beforehand, knotting them at one end & winding them around a piece of cardboard/bookmark with a slot at one end to keep the threads from flopping around & getting all entangled ! 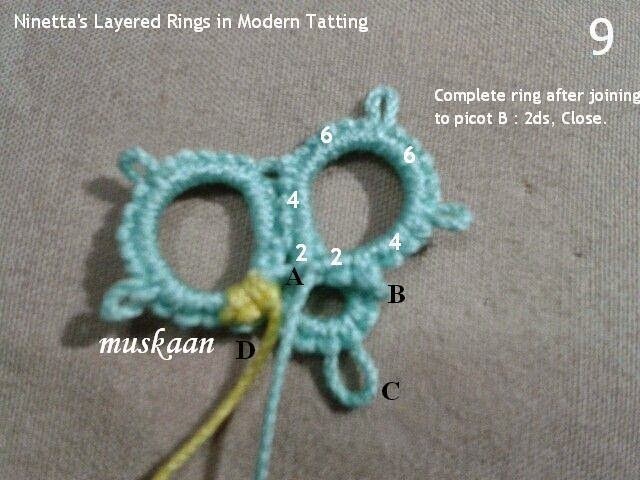 Added a tiny cutwork area in centre of large bottom ring, surrounded by purple thread. I did this in the Lucknow Chikankari style/stitch or the Eyelet Stitch, not blanket stitch, using only a single strand of thread here, with very close stitches couched over a running stitch. with the shadow work (double back stitch) outlines. Everything was embroidered from the front side . View from the Rear ! I actually prefer the reverse side of shadow work to the front side ! 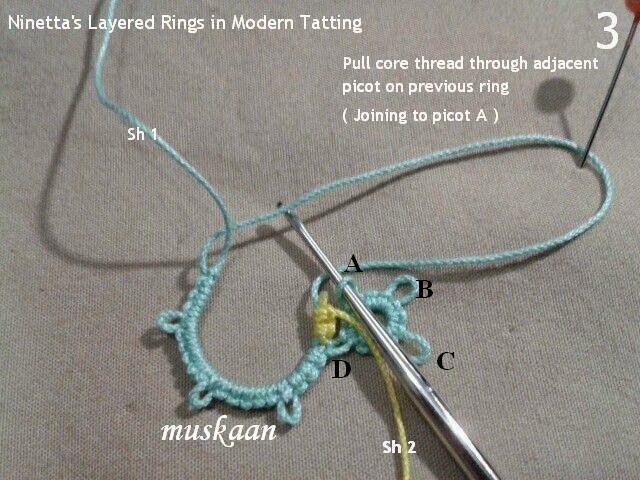 As it is, if asked to choose a single favorite, my all-time go-to filler stitch would be the closed Herringbone stitch. Pics from reverse side show how I went about the 'shaded' effect. using only single-shade threads. Even after 2-3 years’ usage, none of the thread ends have slipped out. Neither are the thread ends & knots visible. as well as to prevent accidental snagging. to a point where the ‘carryover’ would be a much shorter distance. to start with minimal carry-over threads & smooth flow of embroidery between petals. What I could not capture in my limited prowess with photography, was the pale purple/lilac of the saree & the rich elegance of the thread. I love Anchor threads ! These are colourfast, retain their elegant, understated sheen even after long usage & many washes (these pics are after 2-3 years’ usage), easy to work with. 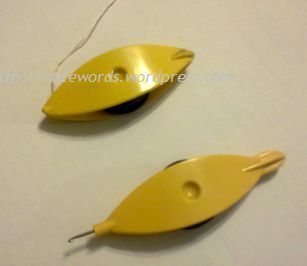 Have been using them since the day I learned to embroider, with no complaints whatsoever ! This sari, a gift to my MIL, was embroidered almost 5 years back when I still had normal vision ! A pendant from a floral beginning ! Parallel tracks. Or maybe ‘multiple tracks’ would better describe the scenario. While I waited for the ‘survey’ results of my colour dilemma on Renulek’s Wiosna doily, here, I took up sewing as a means of distancing & distracting myself. Among various odds & ends, I needed to sew a nightie as part of an anniversary gift. Hence a deadline awaited. Almost 2 Years back, I had tatted a broad lace for sleeves, for myself. But now when I decided to use them for my MIL they needed one extra repeat each. So got down to it…. But it’s never that simple, right ?! 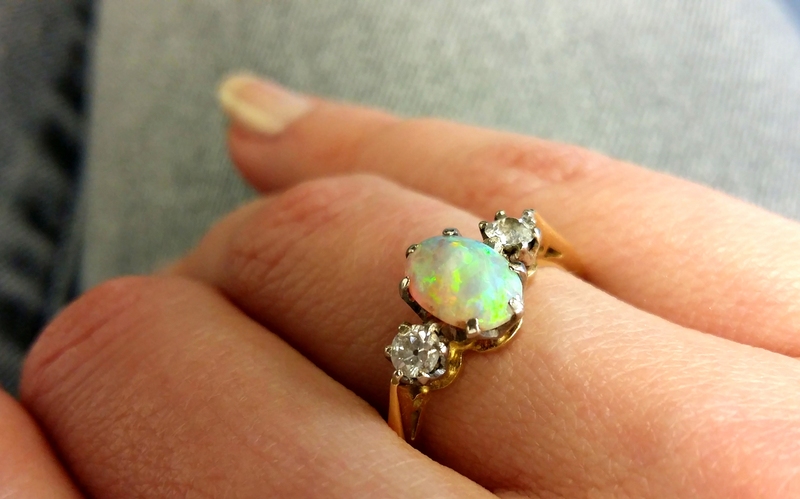 I admired Ninetta’s inventive folding of rings here, but got literally “sidetracked” by the edging here . I just Had to give the technique a go. In my very first attempt, the yellow ‘flower’ is folded horizontally a là Ninetta. But I can never let things be. So for the green ‘leaf’, I tried to fold it vertically. Well, it didn’t turn out neat (some of it only showed up later in the photograph close-up, boohoo), but it is definitely do-able . Size 20 scrap pieces of threads used & finger-tatted. 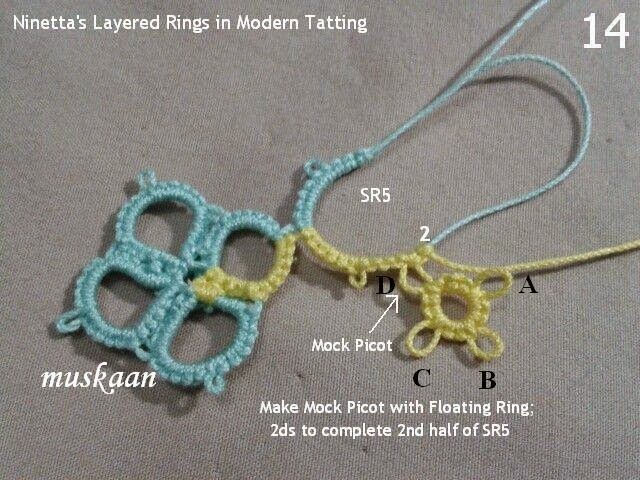 Went back to my sleeve lace & completed the flower motifs. While the motifs are done, there is still a lot of finishing in terms of joining, adding & extending edgings, as well as bringing it all together for the nightie. 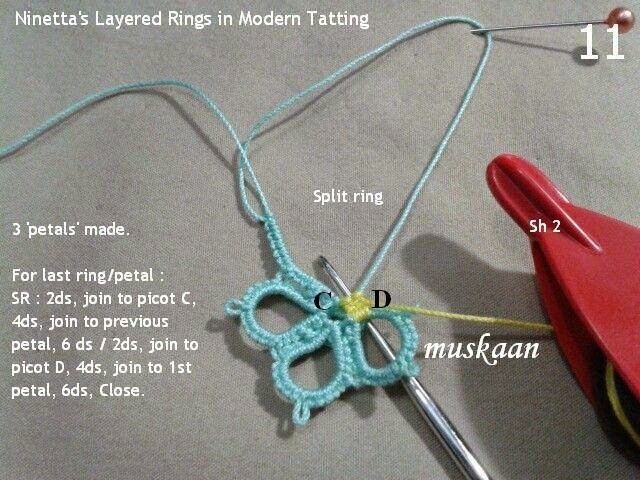 Not to mention the actual cutting & sewing of fabric, then attaching all the tatting to it! More on that in the future …. But before getting to the attachment & lace, my itching fingers & overactive brain got the better of me. 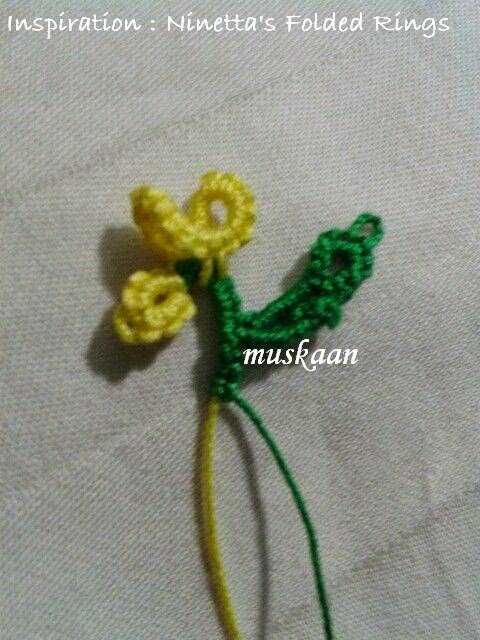 This time I took up size 40 threads, intending to make a proper 3D flower, with a brown centre & yellow petals. 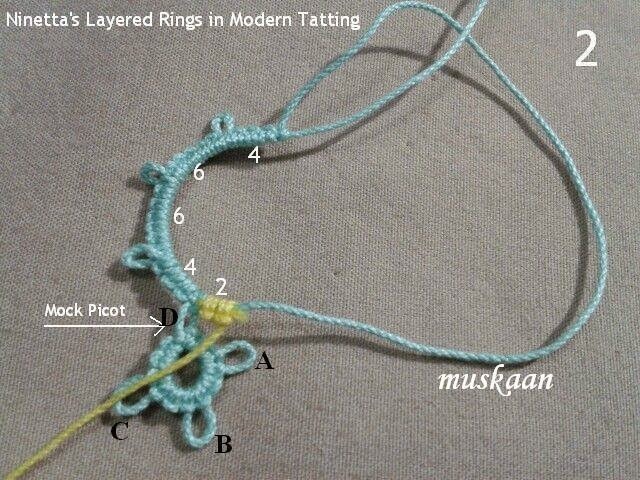 (I still have limited colours in size 40, & didn’t have the ‘time’ for silk threads, especially in a learning trial). But here, I did not fold each ring. 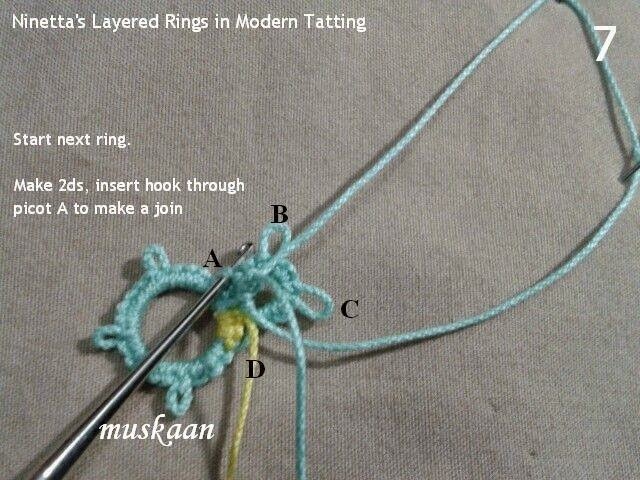 Instead, made 3 brown rings & then pulled out the thread through all 3 picots, made a Lock join, & got them folded. Similarly, for the yellow ‘petals’. Made 1 large ring (52 ds total), then one onion ring, then another large ring (where the picot was a bit offset, not in center). 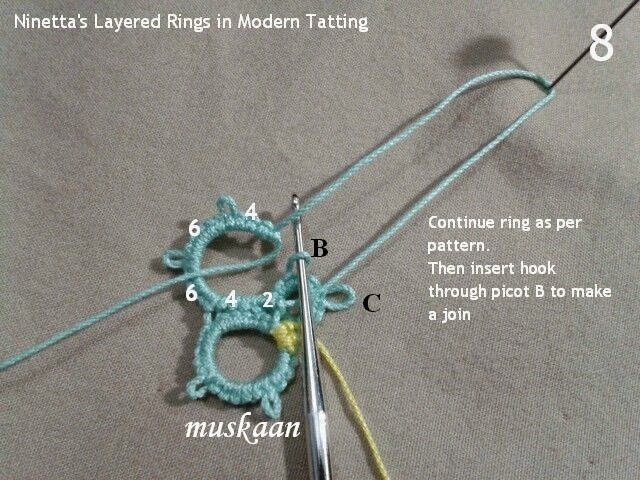 Again, I pulled out the thread through picots of all 3 rings together, secured them with a Lock Join to form folds. Extremely difficult to photograph the minute 3D piece! Each ring folds differently ! I tried various angles to capture that, but it does not come through.The camera lens may capture finer details (& all the errors!! ), but the reading glass lens captures the wider, bigger picture. Folded them over. Hey, it looked like a pendant !!! Sewed on a bead (sorry, Jane ;-P. sewing a bead later works when it wasn’t preplanned or intended. Read her valuable input here ) , inserted a gold chain through the folded triple onion rings… (The yellow rings could've been larger still, or the brown ones a bit smaller) . 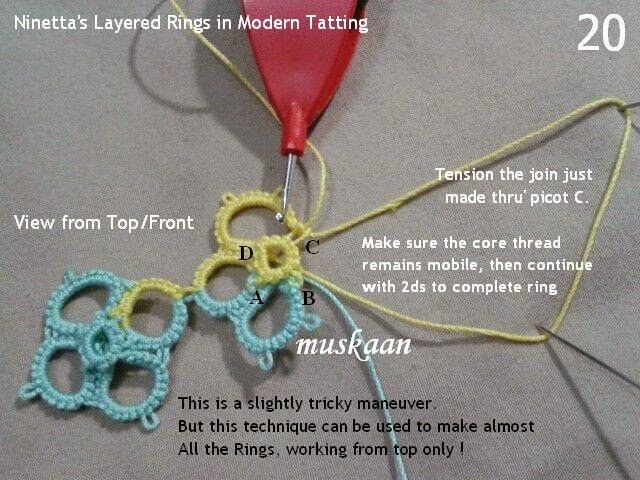 for 3D tatting, freeform stylized work, jewelery, etc. Oh, and I almost forgot of my earlier foray into another learning Track (jumped tracks from the Wiosna to this). Again, thanks to Ninetta’s diagrammatic pictorial that she so generously shared here . 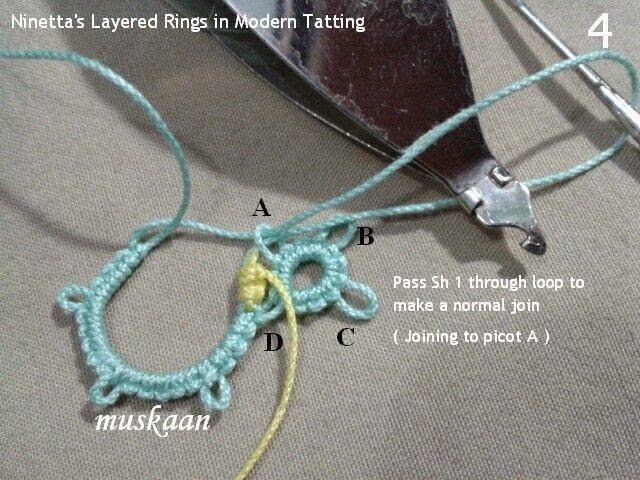 She applied modern tatting techniques to a vintage pattern. 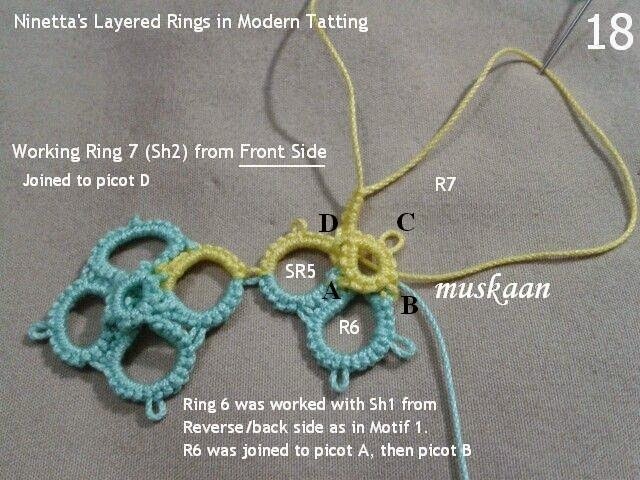 It took some getting used to (both the diagram & the tatting) ; the 1st 2 motifs were a bit fiddly & I made some error in following the directions in the diagrams. But the 3rd one came out right & her diagrams are truly brilliant. I also realized that picots on the Floating Ring should be made longer than normal for the centre to lift itself vertically. 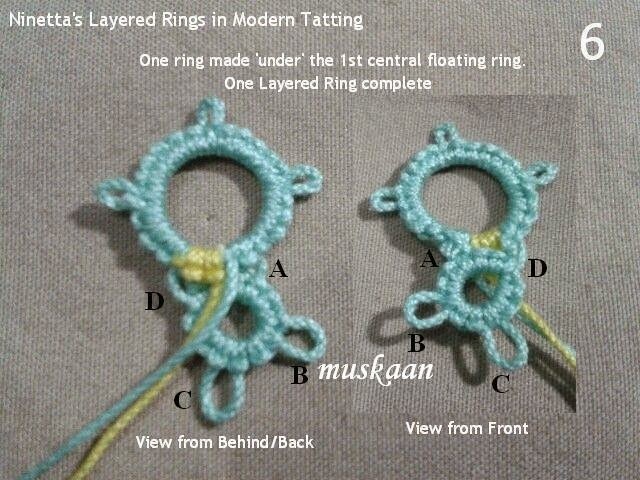 For the 4th ring, I tried a Josephine Ring (JR) as a floating ring (FR). While it should’ve been larger to show the characteristic undulating effect of a JR, there is still a perceptible difference between a regular FR & a J-FR. The latter seems to curl inwards, & the former seems to stand up more. All the discrepancies & limitations are solely mine.